So you've finished writing that novel, well done. You're immensely proud of yourself and so you should be. It is a huge achievement but far from being the end it is probably only the beginning. I say probably because yes, there are some writers past and present, who can write a perfect first draft but even then I bet they will have revised as they've gone along, or their editor has suggested revisions. I've learned over the many years of writing (and the many years of struggling to get published) that the secret to successful writing is in the revisions. The number of revisions an author does depends on the individual author. For me it is usually eight. This is because I do a minimum of planning and plotting to begin with. I come up with the idea for a crime novel, which is usually inspired by a location, I do some basic research and I create some characters outside of my regular cast who appear in the DI Andy Horton novels and the Art Marvik marine crime thrillers. I like to start the creative writing process as soon as possible, usually within a couple of weeks of finishing writing a previous novel. I have a rough outline of the first three/four chapters, no idea what happens in the middle and no clue as to who the killer is or why. But as I write the characters start to come to life and the plot begins to take shape. I research as I go along and I keep editing to a minimum, my aim is to get it on to my computer screen as quickly as possible. The first draft usually takes me about two to three months. Next comes the mixing and shaping when I revise chapters, move them around. I might also ditch some chapters and characters or build minor characters up more, who, as the novel has progressed, have become more interesting. Gradually the novel begins to take better shape. This will usually take me to revision number four. Next I need to make sure that all the characters are fully fleshed out, that the clues are firmly planted and sometimes cleverly disguised; that all the unanswered questions are answered, the red herrings are in place, the setting and research are correct and it all hangs together. This takes me from the fifth revision to the sixth. Then it's checking to ensure that I've used the right words and phrases and have not over-used certain words. The computer 'find' function can be very helpful here. Then it's another read through, number eight, and hopefully the final one. By this time I know the story so well that I can no longer be objective about it. On a good day I am happy with it. On a bad day I want to throw it out and start again. When I have reached the stage where I firmly believe I can do no more to it I know it is time to send it off to my publisher, Severn House, with my fingers crossed that they like it. So far so good! Fatal Catch, DI Andy Horton, the twelfth in the series is published by Severn House and available in hardcover and as an ebook on Amazon Kindle and Kobo. 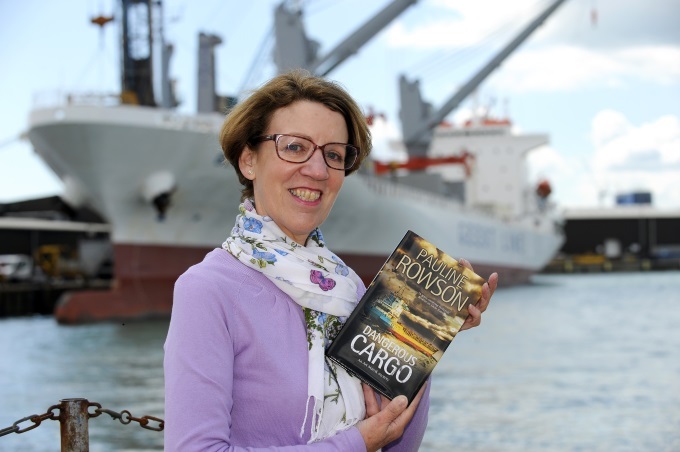 Dangerous Cargo, is the second in the Art Marvik marine crime series, published by Severn House, and is available in hardcover. It will be published as an ebook on 1 September 2016 when it will also be published in the USA. All my books are also available for loan in UK, USA and Commonwealth libraries.